We have available a wide range of sleeves and semi-rigid tubes in various colors, compositions and behavioral characteristics to external factors. 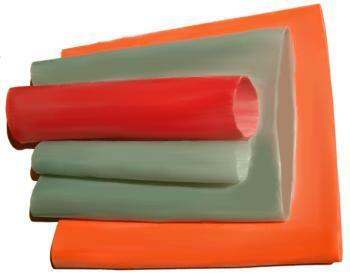 Sleeves and tubes are manufactured by customer requested, within the parameters available in production. Depending on the thickness required may be added screens of special textile layers, for mechanical reinforcement. Application: These sleeves and semi-rigid tubes have a wide range of uses and are generally applied to industrial equipment.